no more cone of shame for me. Why were you wearing it? Emma came to us with an obsessive licking disorder that resulted in one foot licked raw. 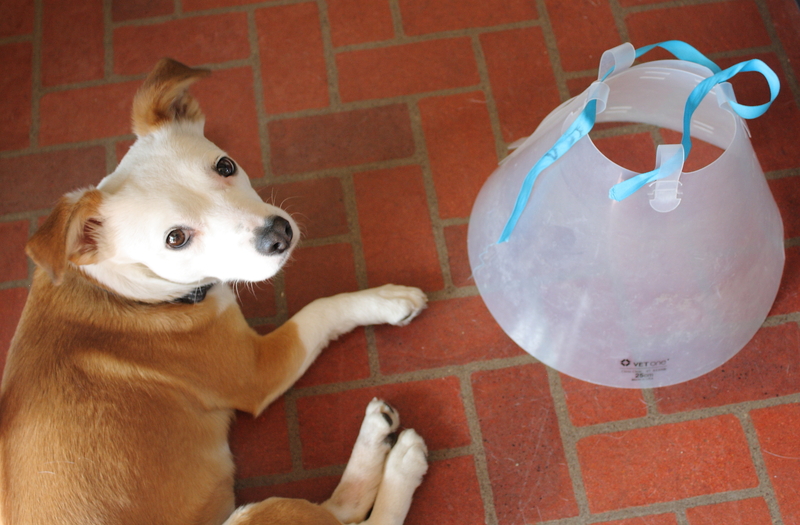 The cone-of-shame is one tool for helping break her of the habit, and she’s been doing much better although she’ll still sneak out of sight to start licking. Aw, what a sweet dog!